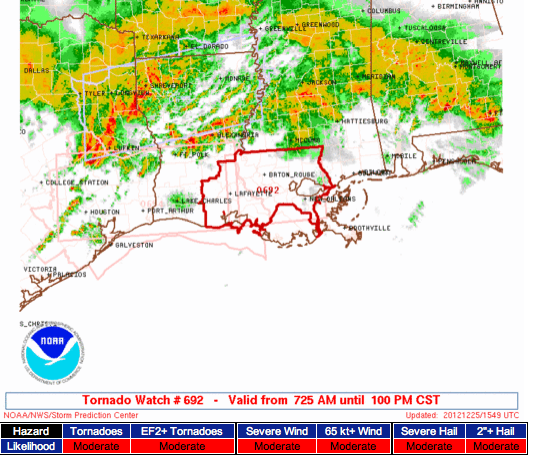 A second tornado watch has been issued for southeast Texas and southwest Louisiana. 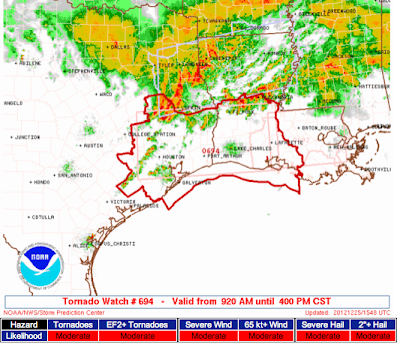 This watch includes Houston, Beaumont and Lake Charles until 4pm. This watch is in addition to the original watch for southeast Louisiana until 1pm. So far, we have had three tornadoes reported with a least some damage near Crockett, Texas.